Originally posted on February 27, 2014. 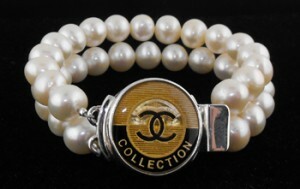 Did you ever wonder what happened in the Val Colbert declaratory judgment action against Chanel? Yeah, I forgot about it too, and evidently I was not alone. Because something did happen, and no one seemed to notice. But more about that in a minute. Here’s why I even thought of it. Lady calls me up — can I do anything for her? She sells, or someone else sells but she sells them for her, or the other way around — anyway, there were these listings on eBay, for buttons that were removed from authentic designer clothing. In other words, authentic designer buttons, being sold detached from the clothing they came in with. And eBay, it appears, removed these listings, and there ought to be a law! There is a law, actually. It’s the law of contracts, and, all things being equal (yes, they never are, but let us say it), it’s the law that governs almost everyone’s relationship with eBay, which is a private company. Your contract with eBay, as a seller or a buyer, is of course subject to its rules and regulations. And just like Mom’s and Dad’s rules and regulations, and those of almost any private party that are not restricted by the criminal law or civil rights concerns, those rules can be whatever the parties agree to. Or, in the case of eBay, whatever anyone who wants to play has to agree to, because for most of us, eBay will not negotiate. eBay will negotiate with others, however — others who are not like you and me because they are rich , if only (though seldom only) in brand equity. These parties have, at least in theory, the ability to upset the nice way it’s going for eBay, litigation-wise, on IP issues such as secondary liability for trademark infringement. And these parties, many of whom are designers, really really really hate it when people do anything — anything! — well, anything other than burn it up or shoot it into outer space — with the hardware, buttons or other stuff bearing their logos but not the stuff they were originally attached to. I should not have to explain why they hate this. And by all indications, they have made this fact clear to eBay, which, despite what you think, mostly wants to work with these outfits. For the goose does continue to lay very nicely the golden eggs. Some brand name products come with accessories, a warranty, or protective packaging as part of the purchase. For example, a watch may be packaged in a custom box and may come with the manufacturer’s warranty. If the manufacturer doesn’t offer the accessories or other extras as a separate purchase, those items can’t be listed on eBay without the accompanying branded product. . . .
No, buttons are not on the list, at least not explicitly. They are included, however, in “Accessories or packaging without the accompanying product,” presumably. For a safer buying and selling experience on eBay, we prohibit listings for certain products that may be used to facilitate the sale of counterfeit items or enable fraud. There you have it. It’s a lot easier to pass off a fake designer garment or other product as genuine if you can include in your listing a high-resolution close-up of genuine accessories. Now, as it happens, this rationale, quite legitimate, also prevents traffic in such accessories for uses that themselves may also be quite legitimate. This would include using such accessories or hardware to replace lost or broken ones on genuine products, or just collecting them to appreciate their beauty, or because you have OCD. And it would also include unapproved, unofficial, legally murky (perhaps) uses such as… transforming them, they way Val Colbert did, as shown in the photo at the top of this post. Oh yes, right — what happened with that lawsuit? I had to go onto PACER to find that. Nothing more, it seems, was reported. 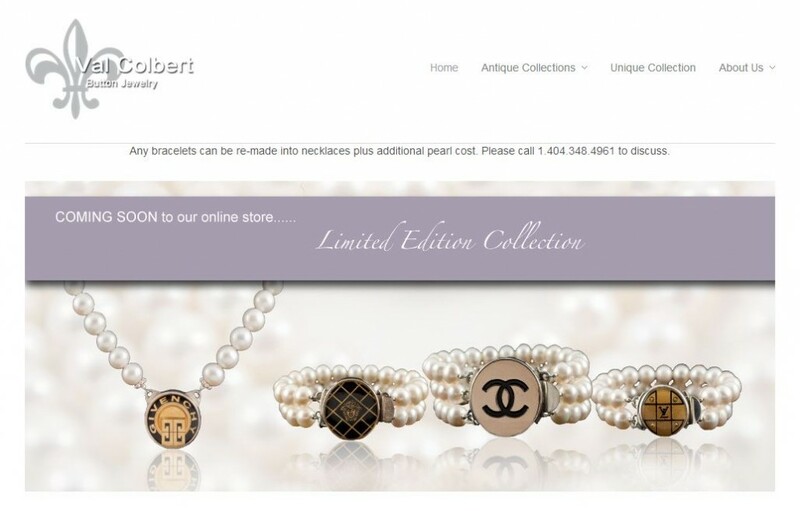 But I will report you this: You won’t find any more items for sale on the Val Colbert website bearing identifiable designer names or marks on them any more. I know because I looked. Beautiful stuff, though! Did you read that closely? I am playing with you! I said “for sale” on the website. At least, not right now. If you are paying close attention, though, and you point your browser there, you might see something yes-with-designer on it — something intriguing and interesting, if you’ve read this far, that you could very easily miss — as I very nearly did! Those are, I believe, designer logos, no? We can speculate. I’m guessing a licensing program, fully-approved, quality-controlled and royalties a-generating. Better than to fight, no? But that’s just a guess. Evidently we’ll know what really happened… “soon.” Till then, see you on eBay. Not!